Bac Hung Hai Bridge crosses Bac Hung Hai River, belonging to Van Giang District, Hung Yen Province. 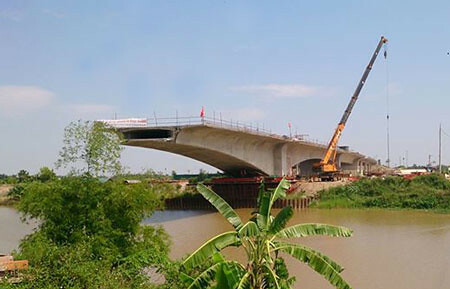 The bridge starts at Km0+200 and ends at Km0+730 of inter-provincial project between Ha Noi and Hung Yen. 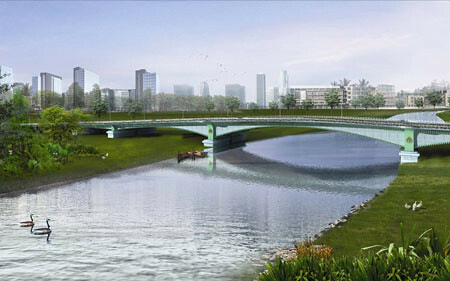 The reinforced concrete and pre-stressed concrete bridge has total length of 530.5m. The bridge width is 18.5mx2 (including two parallel bridges, 10m far from each other). Each bridge has 03 lanes for car, 01 lane for other vehicles and sidewalk. The main structures are 05 spansx270m of continuous box girder and 160.5m long of approached roads. 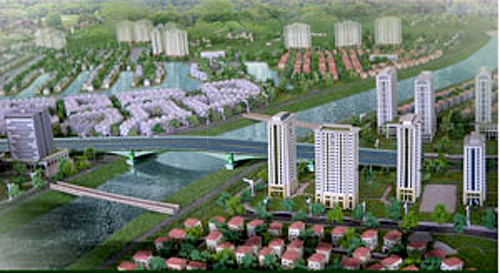 Total investment appraisal: VEC Consultant.